The USCG flag and medal display frame is perfect size case for a large amount of memorabilia. This case is available in either Red Oak, Walnut or Cherry and comes with a red, black, blue or green backround. the United States Coast Guard Flag Display Case Is the perfect Gift for every Coast Gurd Personal, the United States Coast Guard Flag Display Case will present the USCG flag as well as the american flag , with medalions, and ribons. 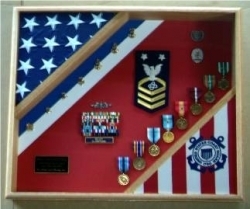 Our United States Coast Guard Flag Display Case is all hand made By Veterans !! 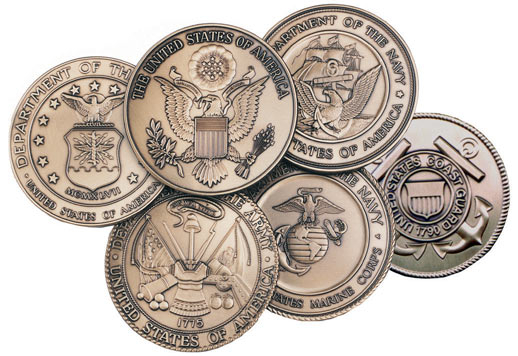 Orders for the United States Coast Guard Flag Display Case are usually shipped out within one business day to places within the USA and Canada.